The wild assortment of vents notwithstanding, this render is pure gold — the front end has an edge that screams performance, and the diffuser/wing combination on the rear is enough to make me finally forgive the HS 250h. 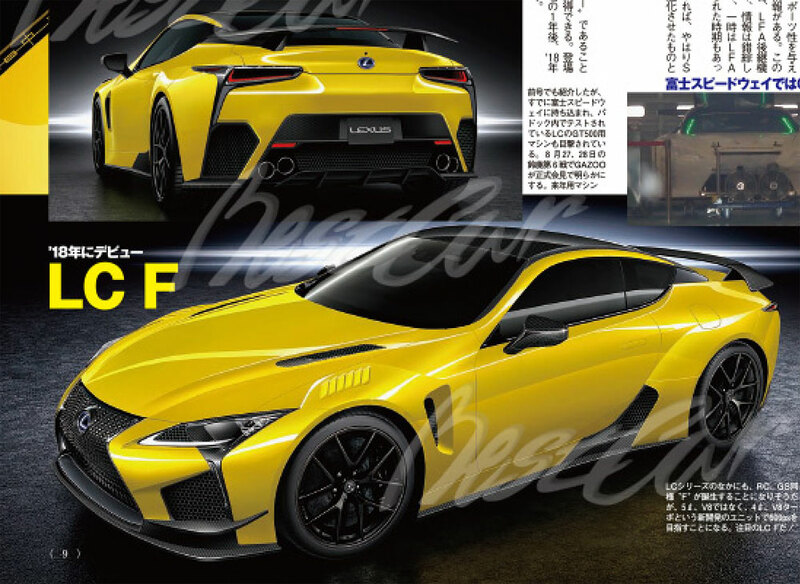 There are some further details in the two-page spread, though only the basics can be deciphered due to the language barrier — there’s the optimistic launch date of 2018, the suggestion of a 600-hp twin-turbo V8 engine, and a small image of the possible Super GT 500 version of the LC. All these rumors are well-circulated, and any or all would be welcome truths. Time will tell, but Lexus could do worse than putting this rendering straight into production.